ROADTRIP-'62 - Let’s Go Bowling Tonight! As anyone who watched the Flintstones as a kid will remember, bowling was very popular in 1962. Fred and Barney would go bowling about every other episode, on their usual league bowling nights. In real life, many folks actually did have a date each week for their league bowling. Some high schools and colleges had bowling teams that competed with other schools. 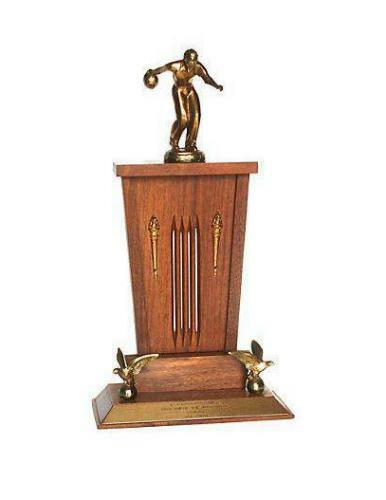 People would win trophies and proudly display them at home, in schools, and even in their offices. Today, Roadtrip-'62 ™ takes a look at bowling in our favorite year. So where did this game of bowling come from? Some form of rolling a ball at targets to be knocked down has been around since at least 5200 BC, as evidenced by artifacts found in Egyptian tombs. The idea seems to have occurred to people more than once, with varieties from antiquity found in Europe and even Polynesian islands. The modern 10-pin bowling game seems to have evolved from games played in Germany in the 1300s, altered by way of lawn bowling in Scotland. New York City’s oldest park is named Bowling Green because the area was used for lawn bowling matches in the 1700s. In older games, the number of pins would vary from 3 to as high as 17! By the time the game came to the United States, bowling at 9 pins from a wooden plank was quite common. The game was unfortunately widely connected to gambling, which led local laws to prohibit it in the 1830s, leading to addition of the 10th pin to get around the laws. Within a couple of decades, indoor bowling lanes were being constructed across the northeast, both for the public and by wealthy families at their estates. In 1895, the American Bowling Congress (ABC) was formed and it adopted standardized rules and equipment specifications for competitive play. Their first national tournament was held in 1901. 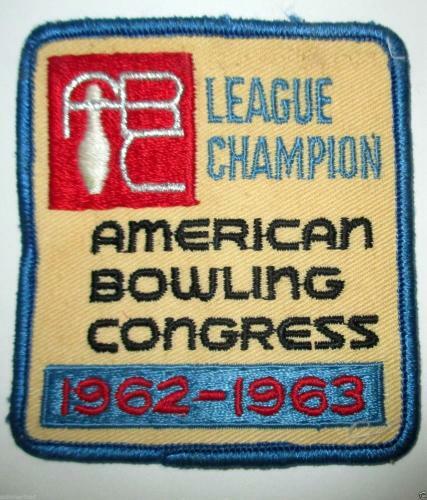 The organization continued to grow, with the ABC reaching a membership of 1.6 million bowlers nationwide by 1952. During the 1950s and 1960s, as the economy boomed, so did bowling. The sport is considered to have reached its pinnacle in 1980, when it had 4.8 million ABC league players. By 2002, it was back down to just 1.7 million bowlers. Of course, other organizations came to the sport, including the Women’s International Bowling Congress, Professional Bowlers Association (PBA), United States Bowling Congress, and the short-lived National Bowling League. The National Bowling League attempted to turn bowling into a professional spectator sport, like baseball, with teams such as the Detroit Thunderbirds and Twin City Skippers. These two teams played a championship in 1962, after which the league suspended operations. This boom occurred in typical chicken-and-egg fashion, with improvements in equipment, architecture, and even communication and transportation helping to both respond to and facilitate expansion of bowling. Prior to the 1950s, most pins were reset by hand, often by high school boys for whom it might have been their first job. My father had such a job in the 1940s, placing pins into a rack at the back end of the alley and setting them back on the lanes. During bowling’s heyday in the 1950s and 1960s, automated pinsetters began replacing pinboys. Additionally, electric scoring equipment, new ball materials, and innovations in architecture and design made the game more attractive and allowed owners to pack more lanes into a single building. Finally, television made superstars of professional bowlers, which fueled interest. Thirty-two tournaments were held in 1962 and the Winter Tour Finals was broadcast on television for the first time, on ABC-TV. This is up significantly from 1961, when only eleven tournaments were held and heralded a new normal, as numbers in the high 30s would continue for many years. Many bowling alleys were quite small prior to this boom, with less that a dozen lanes each. I found a few of these across the Midwest on my US-6 roadtrip, such as Bryan Lanes in Bryan, Ohio and another one just up the road at Butler, Indiana. Bowling alleys became larger throughout the 1960s, with the country’s largest bowling alley opening in 1962. This is the 90-lane Thunderbowl in Allen Park, Michigan, which has hosted the Professional Bowlers Association World Series of Bowling. Tow other large centers are the Stardust Bowl in Addison, Illinois and Freeway Lanes of Wickliffe, Ohio, each having 84 lanes. Many of the large bowling centers that opened in the period around 1962 have already closed or are just now closing, as the popularity of the sport continues to contract. For example, Hollywood Star Lanes, in Los Angeles, California, opened in 1960 and closed in 2002. It was the Hollywood neighborhood’s only bowling alley for 40 years and became known worldwide after the 1998 bowling film "The Big Lebowski" was filmed there. Its elaborate outdoor sign was expected to be relocated to the new Lucky Strike Lanes, downtown. The Professional Bowlers Association, organized in 1958, hosted a number of tournaments in 1962, with bowler Don Carter winning the most and becoming the top money winner on the PBA tour. Don won four tournaments, took home over $33,000, and was named “Bowler of the Year” for the sixth time. Shirley Garms took that title for the second year in a row in the women’s division. In the National Intercollegiate Championships, held in Des Moines, Iowa, the winner was George Pajer of Bowling Green University of Ohio. The PBA calendar of 30 tournaments was a full year long, moving to all parts of the country. Just as in other sports, many events received corporate sponsorship, with several named “Coca-Cola PBA Open”. The season included the first-ever PBA Tournament of Champions, which featured all 25 previous PBA Tour champions to date. It was won by Joe Joseph. Many of the games were broadcast on television, on shows such as ABC’s Wide World of Sports. Bowling had a presence in other parts of pop culture too. A couple of games were built around a bowling theme, including Ed-U-Cards’ Bowling Card Game and Matchbox Bowling. The Ed-U-Cards Bowling Card Game was first produced in 1962 and had cards similar to their Baseball Game. Cards were provided for individually numbered pins as well as Strike or Spare cards, and cards showing several pins together. You drew cards to simulate rolling balls at the pins and totaled up your score as in regular bowling. It could be played as a solitaire or with up to four players. For reasons I have not been able to discover, it appears the name was changed to Bowl-A-Card Game the next year. A more popular game, the Eldon Bowl-A-Matic, was a miniature mechanical 10-pin bowling board game. This was also released in 1962, and won an honourable mention at the Popular Mechanics’ “Toys Of The Year” awards. It featured a miniature plastic and fibre-wood ten-pin bowling lane, complete with a working pin mechanism. The bowler shot a marble down the lane using a spring-loaded device that could be aimed. The set came complete with marbles, pins, and scoresheets. Of course, folks who could afford to continued to build their own home bowling alleys in 1962. A home in Rockford, Michigan was constructed with a two-lane bowling alley in the basement that year. You can see a photo and read more over at Retro Renovation. Perhaps you could build your own bowling lanes in a new house today, considering all the closures occurring. One recent chance was to buy some of the equipment from Cloverlanes, in Livonia, Michigan. Cloverlanes is one of the latest bowling properties opened in 1962 to be closed, having been shuttered in 2015. Another is Covina Bowl, in Covina, California. This great example of Googie architecture, featuring an hourglass-shaped sign with "BOWL" spelled out in kooky lettering, an A-shaped roof that seems to hovers over the patrons walking in, and a zig-zag style overhang just closed in March, 2017. It was opened in 1956 and originally had an Egyptian-themed interior, though that had been watered down over time. So, there are still more chances to find some used bowling equipment for your dream home! And maybe we can find some more in a future Roadtrip-'62 ™ article.